Cosmetic dentistry has to do with so much more than improving your appearance. Though it can certainly make you look like a million bucks, it can also make you feel that way by improving your oral health and boosting your confidence. And because our doctors are focused on both health and beauty, you can be sure that all of your dentistry will be good for your well-being as well as fantastic looking! Smiling feels so good – in part because it is so good for you! Did you know that smiling boosts your immune system, releases feel-good endorphins, and lowers your blood pressure? But that’s not all: smiling is contagious! What a great way to spread health and happiness! Unfortunately, lots of people are so embarrassed by their smiles that they have stopped sharing them and started hiding them. We are here to change all that. We believe that smiles are one of life’s greatest gifts and we want to help everyone we can find a smile they want to show off– along with better health and lasting function. It’s why we specialize in cosmetic dentistry in the first place! We have everything you need, from a simple but transformative smile whitening to the comprehensive benefits of full-mouth restorations. No smiles are alike, so we never offer cookie-cutter solutions. Instead, we work with you to customize every procedure or combination of procedures to fit your unique, personal needs. We also work closely with you to create a treatment plan so you feel in control every step of the way, budgeting both your time and your expenses to suit your pace and comfort level. It’s your smile, after all! However you choose to improve your smile, one thing is for certain – once your cosmetic dentistry is completed, you won’t be able to keep your smile to yourself. That’s a good thing! Wish you could take your smile from dull to dazzling? Tired of hiding your smile because your teeth are broken, worn-down, or misshapen? Renew your smile with tooth veneers! You’ve seen what veneers can do for furniture – they take ordinary wood or other materials and make them look extraordinary. Dental veneers can do the same thing. It’s true! Created from gorgeous tooth-like porcelain, dental veneers cover, repair, and strengthen any issue from chips, cracks, and stains to gaps, irregularities, and even minor crookedness. Plus, we can place anything from one veneer to correct and repair a damaged tooth, all the way to a full set of front teeth – upper and lower – to completely transform your smile. You decide on the shape, size, and shade. To apply your veneers, we simply prepare your tooth or teeth by removing a bit of your enamel so the porcelain veneer can properly bond to your tooth and look completely natural, take impressions of your teeth, place your try-on veneers, and send your impressions away to our world-class labs for creation. We also offer minimal-prep veneers which are thinner and require less preparation than traditional veneers. These are a great option for our younger patients or for those who want the option of reversing the procedure. Either way, your smile will look and feel better than ever! So, you drank a lot of soda in college. Maybe you smoked. Had a car accident. Clenched and ground your teeth because of a stressful job. Forgot to keep up with your hygiene visits and developed gum disease and cavities. Whatever has happened, no matter what habits you had, no matter what damage has been done, a full-mouth restoration from Summit Smiles can take care of it. We love doing full-mouth restorations for our patients and will never scold, judge, or question you about the condition of your teeth. Instead, we will work with you to create a plan and the proper combination of treatments to completely restore and rejuvenate your smile. We usually start by getting the foundation healthy to prevent failure and ensure long-lasting results. That might mean that we treat any lingering gum disease, work on adjusting any TMJ or bite imbalances, repair cavities, and stop infections. 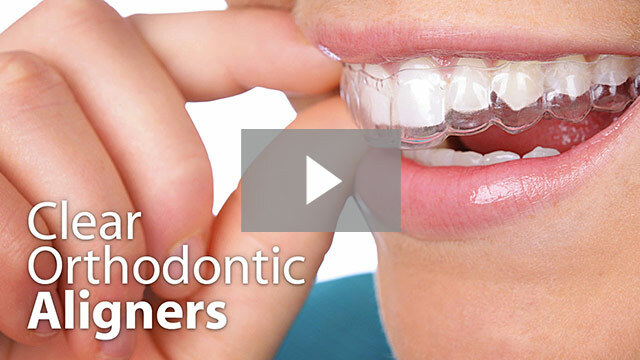 Sometimes we use orthodontics to straighten teeth and adjust alignment issues. Then we work on replacing missing teeth with dental implants – our preferred tooth replacement option – or bridges and partials, and strengthening and restoring damaged or worn teeth. The final touch is often a tooth whitening procedure to show off all the work you have done. Each full-mouth restoration is a singular work of art, designed just for you, and comprised only of the procedures you want and need for the perfectly healthy smile you have been dreaming of. Is a broken or badly worn tooth causing you discomfort and worry? Concerned that it can’t be restored and will need to be extracted? Is your damaged tooth sitting so low in your gums that you can’t believe there is enough enamel for a crown or other restoration to attach to? Then crown lengthening from Summit Dental Reno might be just the dental option for you. A crown-lengthening procedure can save your tooth and allow us to restore your smile, without extracting or replacing any teeth. How does it work? There is more dental enamel that you would imagine under your gumline that can be used to anchor our custom veneers, crowns, or bridges without getting too close to the roots and causing sensitivity. We simply sculpt away just enough tissue around the base of your broken tooth to expose all the enamel necessary and provide a firm foundation for your restoration. Once the gum tissue is healed, we will bond your restoration in place and your smile will feel good as new! Does your smile look uneven, dull, small, or jagged? Let us smooth and sculpt your teeth or gums — or both — to smooth and perfect your smile quickly and easily. Overgrowth of gum tissue can happen for lots of reasons from wearing braces to taking certain medications or hormones. Don’t worry – if your gums are covering too much enamel or are uneven and making your teeth look less than perfect, our gum contouring gently removes excess tissue, reshapes the gumline, and exposes more of your own, beautiful enamel. Another common smile irregularity comes from uneven tooth edges. Of course, you don’t necessarily want a straight line across your teeth, but if your canines are a bit too long, your teeth jagged at the edges, or there are chips you would like to smooth away, tooth recontouring is the fast and simple way to get your smile evened out for better harmony and balance. Our cosmetically-trained doctors use their artistic sensibility along with a sanding disk, much like the kind jewelers use for precision adjustments, to reshape and perfect your teeth. Both of these cosmetic procedures offer beautiful results and can be completed in one visit so you can leave smiling the day of your appointment! Do you have chips, cracks, or minor stains that just won’t budge, but you don’t want to go full-on with dental restorations like veneers or crowns? When a full porcelain restoration is more than you want or need, direct dental bonding from Summit Smiles’ artistic cosmetic dentists offers a budget-friendly alternative to more extensive cosmetic services. And since the procedure is so conservative, it’s the perfect choice for kids and teens as well. Composite bonding requires less preparation of the tooth than a porcelain veneer or crown and can be done right here in our office. 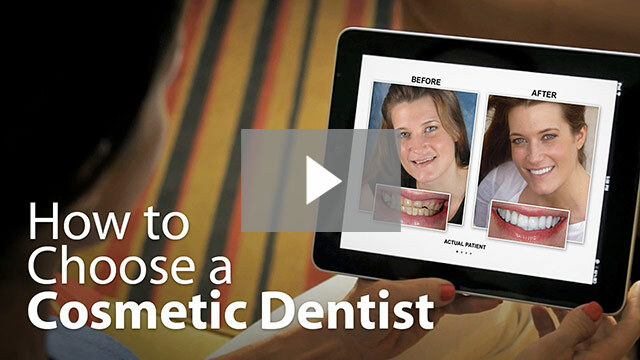 No need for impressions, return visits, or temporary restorations. That means it is convenient too! We simply custom shade the composite bonding material to match your surrounding teeth or create a brighter look, apply it to your damaged or stained tooth, sculpt it, and polish it to a natural-looking shine. Your smile will look better than ever – fast! When you watch old movies, is the first thing you notice the actors’ teeth? We notice it too and wish we could go back in time and offer those actors some help. All most of them need is a good whitening with the Zoom tooth bleaching system. We love offering our patients Zoom smile brightening here at Summit Dental because, unlike both prescription and over-the-counter methods, it is incredibly effective with less sensitivity. That means that whether you enjoy red wine, have been a smoker, or just want to remove those aging stains that build up over time, Zoom can clear away discolorations and reveal a smile that is up to ten shades whiter! Plus, whitening makes all the little imperfections in your teeth just seem to fade away. What our patients really love is that Summit Smiles’ professional Zoom tooth whitening takes only about an hour to complete. Stop in over your lunch break, make an appointment for on your way home from work, sit back and relax in our chair with a neck wrap and paraffin hand dip, and before you know it, your smile will be movie-star gorgeous. Is a crooked, gapped, irregular smile making you feel so self-conscious you hide your smile and never share it? Did you have braces as a child but your teeth have slipped back out of place? Do you wonder if your children need braces for jaw balance and appearance? Here at Summit Dental Reno, we think everyone, from kids to adults deserve to experience the confidence-boosting power of straight, aligned teeth. That’s why we offer a full range of orthodontic options from traditional braces to orthodontic treatments that are almost completely invisible in your smile. Our range of invisible braces includes Invisalign, Six-Month Smiles, and Clear Correct. Each of these options is perfect for adults who want to straighten their teeth without the burden of metal wires and brackets to mar their professional appearance. Plus, several of these options, especially Six-Month Smiles, straightens your smile much faster than traditional braces so your smile will be ready to show off before you know it! If you or your children need some dental straightening to improve your health and confidence, talk to us about your options. We will custom-create a treatment plan that fits yours to perfection.